Gasket Seal. 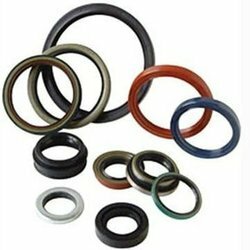 Gasket seal is manufactured using rubber of high quality. Our precision engineered gasket seals are durable and high performing. HNBR Can stand upto 160 C /320 F Generally used in oil field applications. We are manufacturer of Synthetic rubber moulded parts. We can supply you as per your required dimensions. We need to develop die for any moulded rubber part as per your required dimensions. made from various materials. Different shapes and sizes. Prices varying from Rs 50 to Rs 2000 per piece. General Properties And Applications: To Seal Off Water, Steam, Air And Alkaline Chemicals For Low Stress Conditions. We design, produce and market shaft seals and sealing products of the highest possible quality using advanced manufacturing techniques and approved quality systems. With some twenty five years experience, the Company is now a true world class supplier, serving clients on all continents. Backed by huge industry experience, we are offering a superior quality array of Silicone Gasket Head Seal from advanced technology in different specifications for our valuable customers. Top quality gasketing materials maintain excellent resistance to compression set, high resiliency as well as good vibration damping and shock absorption performance. Die-cut gasket components continue to perform despite constant and repeated deflection and prevent leakage and maintain their integrity no matter the internal or external environment. 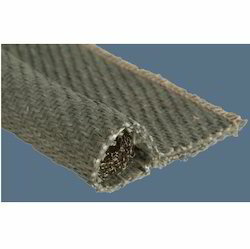 Gaskets of fibre, Rubber, Teflon for any size and shape.